If you look up elegant in the dictionary, there should be a picture of Remy and Maxwell’s wedding reception. 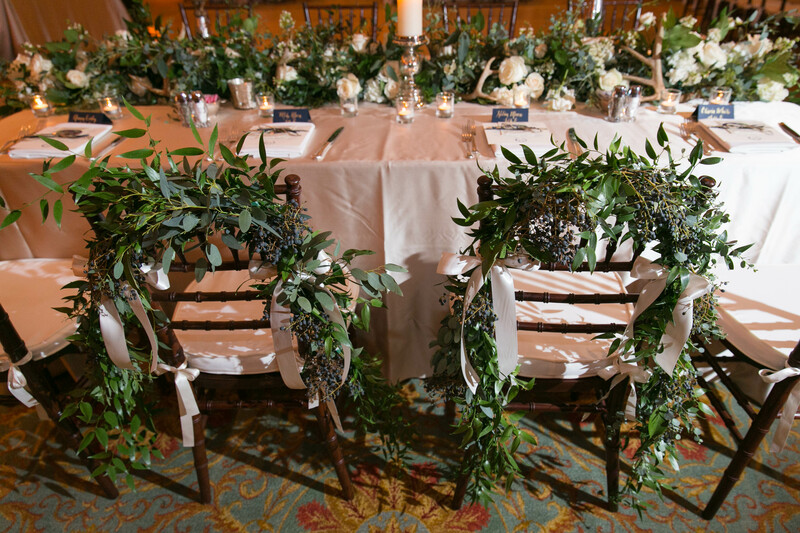 With larger than life kings table centerpieces under the beautiful Fort Worth Club chandeliers, and added pops of red floral to bring out the stunning curtains, this reception blew away their guests with all the attention to detail! We love a good themed party! 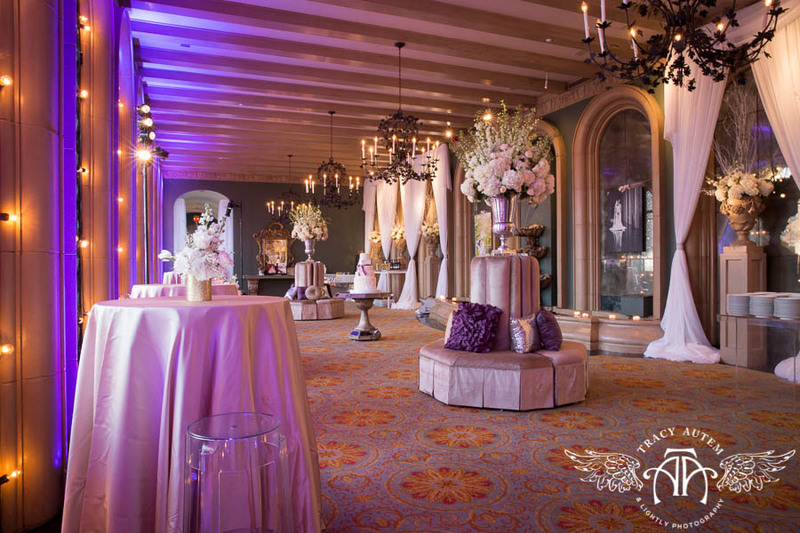 When used correctly, a theme can be classy, elegant, and can help create unity throughout the various facets of the event. 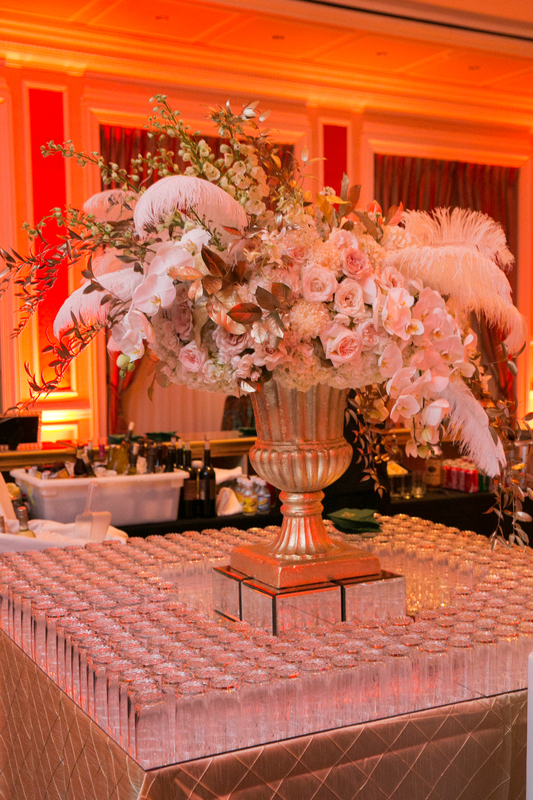 Extreme and obvious themes are often used for fundraisers and social events, but Shelby and Blake were able to use a subtle Gatsby theme to create a gorgeous, elegant 1920’s styled wedding reception. There are some weddings that “wow” from the start, and the wedding of Lauren and Matt was certainly one of those! 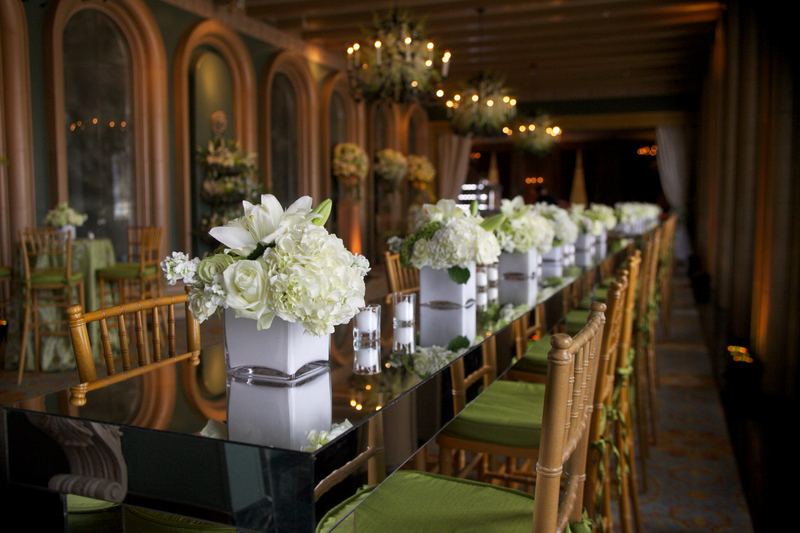 Their vendor team fully transformed the Horizon and Terrace ballroom with extravagant floral, custom furniture, and a bold green and white color scheme, and we absolutely loved it! We have some major catching up to do on this blog! We have been so busy with tons of beautiful weddings that we haven’t had a second to spare OR share! 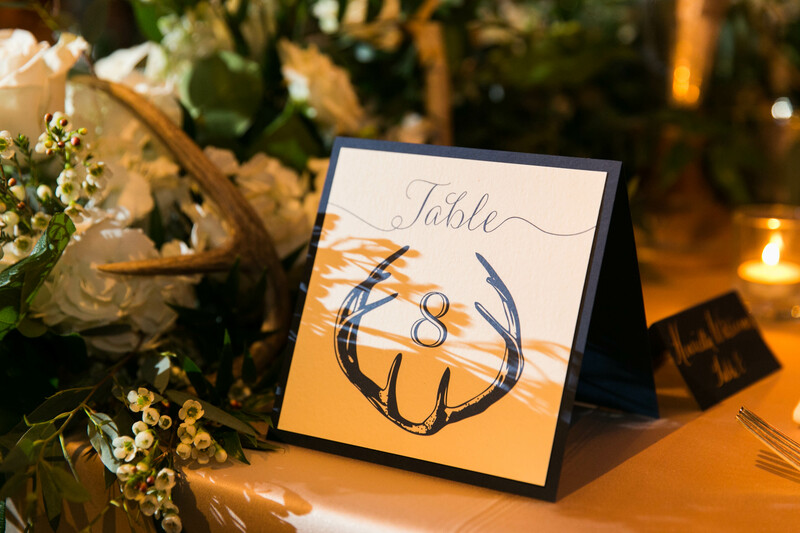 We owe you a bunch of gorgeous wedding and event photos and details, so let’s get right to it with a beautiful ceremony and reception we hosted back in November 2012. Rachel Rice and Andrew Bennetch were married in our Top of the Town ballroom on Saturday, November 10, 2012. Since their ceremony was in our ballroom, they took advantage of some great downtown locations for pre-ceremony photos. We wanted to share this beautiful video of Jordan and Jonathan’s wedding. Turquoise Video Productions did a great job capturing all the special moments of this couple’s day.